Say goodbye to the hassles of printing out a document on paper, taking it over to the FAX machine, struggling to load the paper right, dialing the number correctly and checking back later to make sure it went through. Then there is the mess of lost documents to deal with. 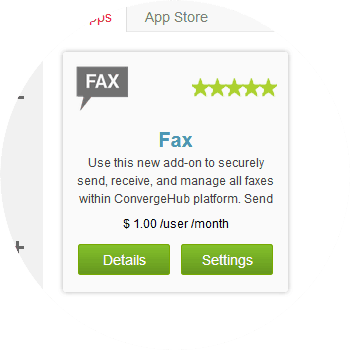 ConvergeHub-FAX integration eliminates all these hassles and makes it easy to stay perfectly organized and in touch with your customers. Send a Quick FAX, Mail Merge and FAX, or FAX Blast. 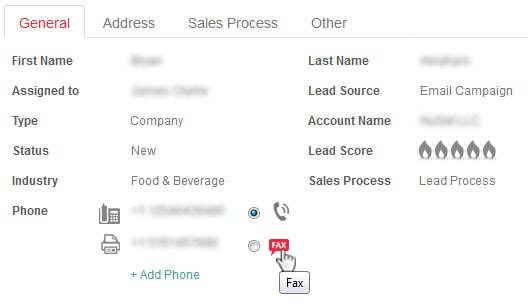 You can even send personalized FAXes, log FAXes to history and never retype a FAX number again. Moreover, using this integration easily send multiple attached documents such as brochures, price lists and more to your leads, prospects, and customers. 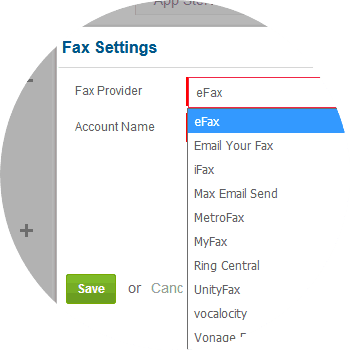 For seamless integration with FAX click on the Settings button, this will open up a pop-up. If you have a pop-up blocker in your web browser, then allow the pop-ups from ConvergeHub. 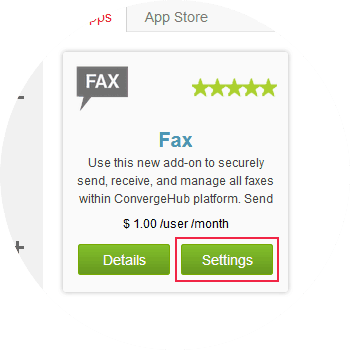 In the pop-up window, select your FAX provider from the list and then input your FAX Account name. Next click on the Save button to save the settings.